This Sunday the Mile High City will be host to yet another race...the Denver Hot Chocolate 15k & 5k. 1. There’s a race near downtown this Sunday so please allow yourself extra time to get to FBCD for our 10:30 service. 2. As a church community and as individuals we are challenged to keep running the race of life...the race of faith that is before us. To run a race takes time, effort, and discipline. I know from my own experience of running, that such exercise requires physical and mental persistence. We must actively choose to stay in shape if our goal is to complete races. As followers of Jesus, we must keep ourselves in shape too. Being in community with each other, taking time to study and pray, being in worship, and actively serving others are all ways to help us run the race of faith. Will you join us this coming Sunday for either scripture study at 9am in Fellowship Hall or worship at 10:30 in the sanctuary? Beginning next week...Wednesday night Bible study will be up and running too. And as always...opportunities to serve through the Women’s Homelessness Initiative or any number of other opportunities are possible. I hope to see you this week. Invite someone to join you. They’ll be glad you did! I trust this week has been good for you in different ways. You have been in my thoughts and prayers. FBCD is a good place to be and I’m encouraged by the ongoing energy and enthusiasm that is ever evolving. Sometimes, when so much negative news and reality can overtake the news headlines and social media sites, it’s hard to appreciate the good that is happening around us. Last week I participated in a fund-raiser for a local non-profit that supports women and men who are seeking to transition from being homeless to being housed. In sharing her testimony, one of the program participants, Brenda, said, “You forget there are so many good [things] in the world when what we see seems so bad." There is much good happening at 1373 Grant Street. Beginning this Sunday, from 9-9:50 in Fellowship Hall, we will begin a scripture study series called, “Acting Out: A Study Through the Book of Acts.” This will be a 9-week series and is designed so that if you miss a week or two, or can only come for a few sessions, you’ll fit in just fine. Please consider joining me as we explore together how the faith we profess can be lived out through the lives of every day folk like ourselves! You’ll be glad you did. Whether for the scripture study series or for worship, I hope to see you this Sunday! Thank you as always for being the people you are. Together, we are doing far more than any one of us could do on our own. 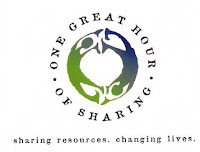 Thank you to everyone who donated to our “One Great Hour of Sharing” (OGHS) special offering for Hurricane Harvey relief work in Texas and Louisiana. We will continue for the next couple of Sundays to receive over-and-above offerings for these efforts. As you may know, the southeast region of our country is anticipating Hurricane Irma to make landfall in Florida this weekend. The effects of this storm are yet to be known but we can assume much relief effort and support will be needed there too. During our services to come, you can give (or given again) to OGHS through FBCD’s weekly offering by noting on the pew envelope and/or your check “OGHS-Hurricane Relief." UPDATE: Former member and musician of FBCD, Scot Pankey, has been able to return to his home to collect items but his house and neighborhood have sustained major damage. Scot’s spirits are good and he’s grateful for many blessings even in the face of many challenges. Please keep him in your prayers. Thank you in advance again for your generosity. Let us keep the tens of thousands of people and communities impacted by these storms in our prayers for the days and months to come.